Readco Kurimoto LLC unveils a line of sanitary, continuous mixing processors. Offering the company's proprietary continuous mixing technology in a sanitary design approved and certified by the USDA, the Readco continuous processors feature solid, one-piece, removable, rotating shafts that cannot harbor material with removable end plates and Tri-Clover feed and discharge connections as standard in an all-stainless steel design. The sanitary processors can be fully disassembled for cleaning by one person in minutes and thrive in chemical washdown conditions. Ideal for food, beverage, pharmaceutical, and other facilities where sanitation and product quality are paramount, the Readco sanitary continuous mixers automatically mix, encapsulate, crystallize and/or chemically react multiple powdered, liquid and/or viscous ingredients at the same time. 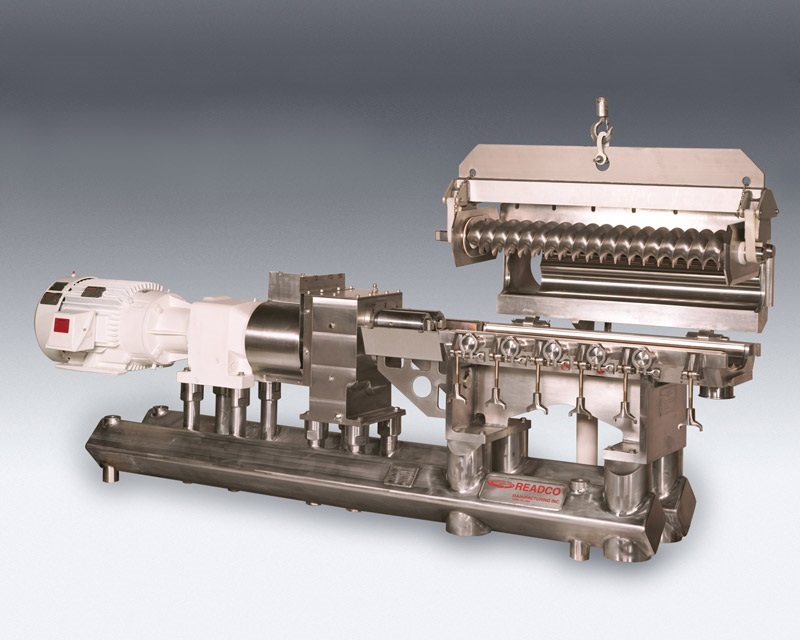 Using twin shaft, co-rotating screws set within a closed barrel, the continuous technology consistently yields a uniform, homogeneous product while eliminating the multiple steps required in batch processing. The sanitary continuous processors are custom engineered for each application based on laboratory testing using customer materials and formulations to verify performance. The continuous systems are manufactured in the company's York, PA headquarters and delivered assembled, fully tested, and ready for operation.